The good: A caffeine-free version is available. This is nice because most diet pills contain large doses of caffeine. The bad: When looking closely at the ingredients in Metabolife Ultra, there is very little uniqueness in the supplement complex. The bottom line: A very expensive supplement considering they leave you with questions about the ingredient list and its effectiveness. The diet supplement Metabolife, was originally formulated with ephedra. When ephedra was banned, the supplement resolved the change by bringing out three new forms of the supplement. The three new supplements under the Metabolife name are Metabolife Ultra, Metabolife Green Tea and Metabolife Caffeine Free. When looking closely at the ingredients in Metabolife Ultra, there is very little uniqueness in the supplement complex. Very similar to many other diet pills on the market, the “proprietary blend” offers some substances that can be helpful for weight loss, including SuperCitriMax. But, there are no amounts listed on the label. A lack of amounts leaves the consumer with the inability to decide whether or not the ingredients are provided in large enough amounts to work effectively in the body. 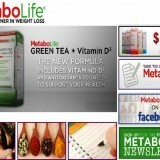 According to the Metabolife website, “Metabolife® Green Tea can help you achieve your weight loss goals.*”. This fact could possibly hold come weight. Several scientific studies have proven the health benefits of green tea in relation to weight loss and other health benefits. But, the lack of disclosure regarding the amount of green tea used in the Metabolife’s Green Tea “proprietary complex” leaves the user wondering if there is enough green tea included to benefit the body at all. 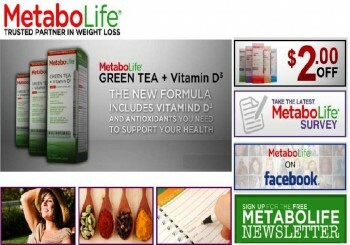 Do The Ingredients in the New Metabolife Line Really Work? According to research, the supplement Chromium Picolinate, which is commonly found in weight loss and diet pills, has shown results that are both positive and negative. Some studies show Chromium Picolinate helps to regulate blood sugar levels and thus decrease appetite, others say this finding is not substantiated. Our take? We remain on the neutral side with this ingredient with a tiny lean toward the positive benefits. Garcinia Cambogia (active ingredient Hydroxycitric acid (HCA), on the other hand, has shown good results in the weight loss studies with a daily intake of 1.2 grams of HCA. SuperCitriMax is the most disheartening ingredient in Metabolife. The “proprietary complex” ingredients may be beneficial, but without knowing how much of what is included in the complex, the user is left to believe the claims without proof. Guarana, a major source of caffeine, when combined with linoleic acid, has been studied for its fat burning ability with positive results. But, Metabolife does not contain linoleic acid. Is The Cost Worth the Effectiveness? 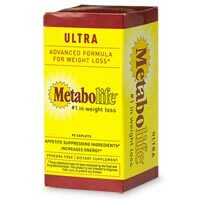 The total bottle of Metabolife, not matter the formulation, is $24.99 for 45 single caplet servings. With a suggested serving size of 2 caplets to be taken 3 times per day, the bottle will last less than 8 days. The total price per day for this diet pill $3.33. A very expensive supplement to be left with questions about the ingredient list. I’m using the green tea one now. I used to use the ephedra one back in the day and loved it. But it did cause me health problems later. The green tea one is only $7 for 50 at my target, so that works great for me, and I only need 4 a day instead of 6. I’m 22 and the mother of a 1 year old, and this made me lose 2 pounds the first 3 days and 2 every 4-5 days after still.